Now that the dust has settled and gamers have finally been able to get their hands on developer Firaxis’ Civilization VI, it is clear that this latest instalment of the strategy series has been worth the wait, as it’s a great evolutionary step for the series. And it’s obvious that Civilization VI does not reinvent the wheel, but rather takes everything that was great about the earlier Civilization V and refines it to offer one of the best turn-based strategy gameplay experiences on PC in a long while. This isn’t a bad thing really, as Civilization V already was one of the best strategy games of all time. But it only became so after Firaxis released two expansions for the game, “Gods and Kings” and “Brave New World” in 2013, while the latest Civilization game is a much more polished game right off the bat and already includes everything in its predecessor’s expansions, but is greatly improved in many respects. Upon loading the game, players will be greeted with the new theme tune “Sogno di Volare” by composer Christopher Tin, which is heard both during the opening cinematic and in the game’s menu. This is probably the best Civ theme since “Baba Yetu”, although it doesn’t quite reach the musical heights of the Grammy Award-winning theme from Civilization IV, but is a good orchestral piece all the same. After starting my first game as Japan (which is led by historical leader Hojo Tokimune), I noticed that the initial load time was a bit on the long side, and also that the loading screen is virtually unchanged from that of the earlier Civilization V.
This time, though, actor Sean Bean is behind the narration for each civ when starting a new game, and also reads the quotes when discovering new technologies, and I found myself looking forward to each new scientific discovery, hearing quotes like “sometimes the wheel turns slowly, but it does turn”, being read by the Game of Thrones actor. 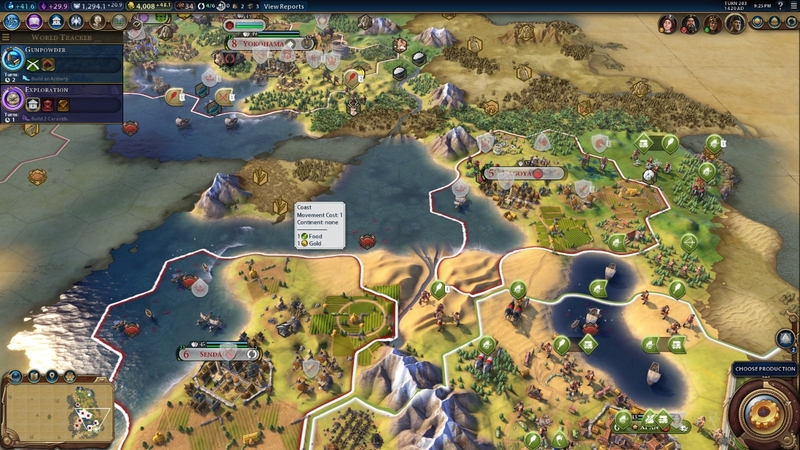 Once in the game proper, I noticed that Civilization VI is a more streamlined game than its predecessors, as players won’t have to worry about buildings roads in the ancient era for instance, as these are built automatically over time as trade routes are established between cities. Also, having to micromanage the old worker units is now a thing of the past, as the new builder units build improvements like farms in one turn and have a set number of uses, disappearing afterwards and leading to less map clutter. And the ability to chain two units together, such as a settler and a military unit, is also invaluable when sending settler units into the unknown to found new cities. Japan’s units are good at fighting on coastal tiles in Civilization VI. In the war that followed, though, my civilization gained the upper hand, and this probably had to do with Japan’s special ability which is known as “Divine Wind” in the game, which gives Japanese military units a combat bonus when fighting next to the coast and luckily I had been building most of my cities next to the sea up to that point. 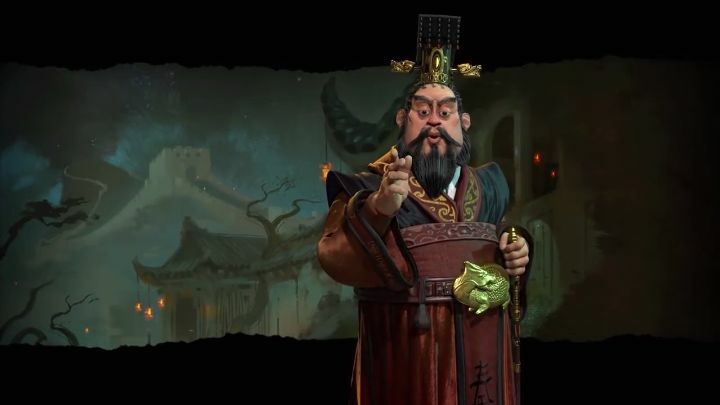 What’s clear though, and taking into account Civilization VI’s bevy of improvements, is that this Civilization game is already looking like it could be the series’ best and a solid Game of the Year candidate, and is definitely a game to get for fans of the legendary Civilization series and of turn-based strategy gaming in general.